Key terms are bolded. If you want to skip ahead to a repository with working boilerplate, I've put together a Github repository with my recommendations. What’s a framework? Do I need to use trendy.js? Many currently-popular frameworks are designed to address the problem of, "How do I create a single-page web application that supports complex user interactions, and manages all of my business logic on the frontend?" Single-page applications, or SPAs, are web applications that don't require a page refresh, where much of the product exists as a single "page" -- think about the Facebook homepage, or your Gmail inbox. So which framework should you use? React? Angular? Ember? Do you even need a framework? Cue the choice paralysis! 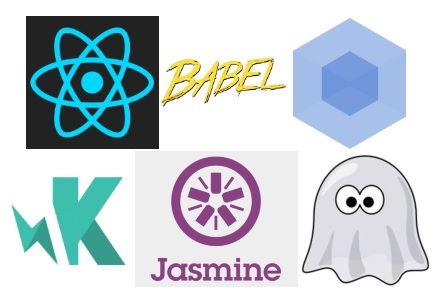 All of these projects are trying to help you write better web applications. There is no correct answer to which framework, if any, you should use. If you are working on a reasonably complex site, you’ll probably find a framework helpful. Right now, Angular, React, and Ember are all popular and reasonable choices. Backbone is an older-style framework, and smaller in scope; it's also appropriate for many projects. The starter kit I’ve put together for this article uses React, but really, there's no wrong choice. To see for yourself how various frameworks compare, check out TodoMVC, which implements the same checklist application using different frameworks. 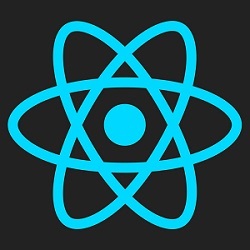 If you're starting a new project, I recommend React or Angular, along with Lodash. How do I use other people’s code? You'll likely come across all three types of modules in your work. For new projects, you should use ES6 native modules. Build tools, such as webpack (see below), can be helpful for working with various types of modules in existing projects. What are my build tools? 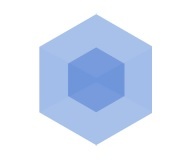 For new projects, I recommend webpack. It has strong adoption and handles large projects with complex dependency graphs well. How do I test my code? Mocha and Jasmine are two popular libraries, sometimes referred to as testing frameworks, that help you write tests. Their APIs are very similar; you describe how something ought to behave, then use assertions to test it. For running your tests, Mocha provides a command-line utility, while Jasmine does not. Many developers use Karma, which is a test runner that can run both Jasmine and Mocha-style tests. Selenium is a web driver that is often used for these tests. You'll need to equip Selenium with a browser driver, so that it can launch the browser. PhantomJS is a so-called headless browser -- it runs without a GUI -- that is often used in testing. Because they don't require a GUI, headless browsers are useful for automated tests. You may also find Sinon helpful; it provides a fake server, which can be useful for faking responses to AJAX requests. ...and you're off to the races! Make edits to app.js or Hello.js to add more React components, and use npm test to run your tests. It was very nice introduction for me! It was very hard for me to find all the disjoint bits of modern java script development and you've summarised it excellently. The JS web framework landscape is a huge mess. These frameworks make client-side web development far more complicated than is necessary. Using the transpiled languages that I recommend, jQuery is all you need to write large, maintainable applications that do everything you want to do, including all the fancy UI stuff you crave. And do it more easily without all the complications. This is really helpful - shows how all the tools and frameworks fit in together and their purpose. Then, Richard, you should do what Bonnie did and promote a quick start article and toolset to encourage adopting. The curse of JS right now is variety ("choice paralysis", which is VERY real), and complexity. The integration of all the tools makes the JS landscape very difficult to navigate for the novice. The transpiled languages do not reduce this complexity. So, having a package of start up tooling that lets folks wade in to the waters slowly is important to promoting adoption. There is a lot of baby duck syndrome in development. Since most of these platforms mostly do the same thing in mostly similar ways, once a developer has adopted one, and gained momentum and experience in the platform, getting them to change their habit is much more difficult. So, getting folks started early is better, and the easier it is for people to start, the more people will start. Regarding choice paralysis, all the transpiled languages use jQuery, so that pretty much removes the paralysis with regards to web frameworks and their associated toolsets. I never really understood the need to go beyond jQuery, which is a very solid and well-supported framework that is widely used. one of best materials that I have ever seen!! All you need is jQuery? Probably the most absurd thing I've heard in a long time, particularly as a suggestion for newcomers. One of the best orientations for any newcomer to Front end development. I don't think anything is left out of this short article. Equips the developer with all the tools needed. This article could not have come at a better time. A long-time back-end Java developer, I have undertaken some front-end development tasks the day this article was published. It gave me clear pointers to the latest technologies and how they fit together, and allowed me to make some clear design decisions. Thank you! Why is using jQuery absurd? It's the most widely used JS web framework in the world. It's very solid and extremely well-supported with tons of plugins. By using transpiled languages, such as these, you can do all the front-end stuff that you do with Angular, Backbone, React, Ember, Express, Meteor, Polymer, Knockout, etc. Transpiled languages universally rely on jQuery. Check out the super-cool examples I provide for ClojureScript, Dart, Haxe, and Scala.js. Why? Because it provides absolutely no structure to the application. I'm not saying that jQuery is bad, I'm saying that advocating that a beginner should take on a huge web app with only a utility library is irresponsible. I don't even know why I'm arguing this. The reason all those other frameworks exist is to provide the features/structure jQuery doesn't offer (routing, templating/views, controllers and/or reducers, etc.). Having worked on various projects that involve front-end development (mainly doing the REST services and/or UI testing) it's refreshing to finally get a bird's eye view of the industrial landscape I have been trying to find my way around. Every corner I turn seems to reveal some new edifice of unknown function - it's really helpful to discover which ones are useful and complementary. One thing I've noticed across the various projects is that if you use grunt or gulp (or, even worse, both) you still need npm anyway. With a bit of ingenuity, you can run all parts of your build using just npm, which simplifies and speeds up your builds including test runs. The other thing that this article should definitely mention is the Q promise library by Kris Kowal (github.com/kriskowal/q) - almost all web applications of any size rely on this (or Angular's equivalent) to make the asynchronous programming model tractable. There are a lot of plain vanilla (and Framework based) samples on SAM's home page, for instance the TODOMVC using both ES5 and ES6. Plain vanilla implementations are generally isomorphic and run nearly as is. Last but not least, I would also take a look at AWS Lambda. Thank you for posting this great article. Sure, wish I would have read this a few months ago, would have come in handy!! Thank you so much for doing this, very valuable to have a big picture ! Loved reading this in spite of understanding the landscape a little bit after a year being a full stack developer. Concise and comprehensive. Still working to understand whether to choose React over angular 2 or stick with trusty old jquery. Glad to see the choice paralysis is recognized by so many. Thank you for this great article. One thing, which is quite important. So many infoQ readers are from corporate area where a matured, with long term support, convention over configuration solution are more prefered. In this area Ember.js is the best choice, especially if the team is already knows some other MVC framework, and prefer OO patterns and clean code. 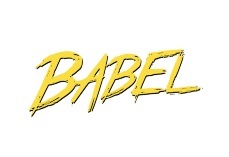 Ember.js provide this on frontend world. Ember.js has a huge ecosystem, thousands of addons, long term support releases, it is fully open source, and it is improved based on the real user requirement and not based on Google or Facebook requirement. Because of the conventions, development is super efficient and fast with Ember.js. Onboarding is minimal, because if someone already used Ember, they can join to any Ember project in a few hours. It is easy to learn, the community built free, detailed ember tutorials also. Sorry, but all languages are "transpiled"! If you hate "transpiled" languages, then you can only develop in Assembly or binary. You're right - those are important features/structures. However, for someone's *first* application, I think there's something to be learned from doing frontend development without the added complexity of a framework. It teaches you why you need those features. I wouldn't advocate that a beginner build and maintain a "huge web app with only a utility library" in order to run a robust production app, but I think it's an instructive experience. That depends on your definition of "corporate" - by some definitions Google and Facebook are plenty "corporate". I don't have extensive hands-on experience with Ember, but my impression is that you're right, and for situations where you want convention over configuration it's a great choice.